Maintaining a fleet takes expertise, knowledge, and time. Your fleet is a valuable asset, so you should turn to experienced technicians when you need fleet repair services. 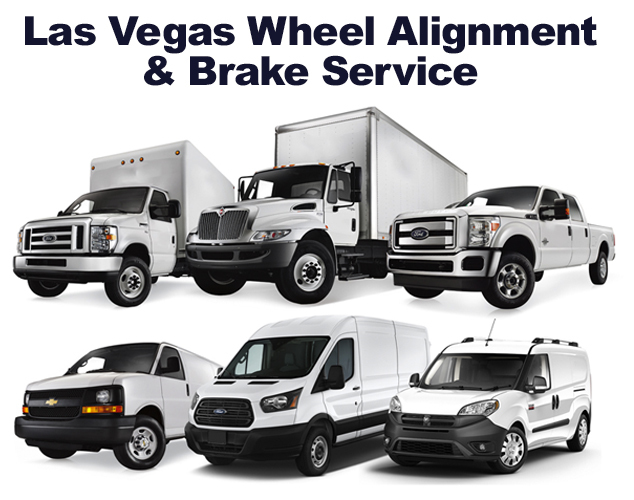 Las Vegas Wheel Alignment & Brake Service provides expert fleet services and maintenance to customers in Las Vegas, NV, Henderson, NV, Summerlin, NV and surrounding areas. Our technicians are trained to service even the most complex fleet repairs. It is vital to your business that your fleet operates efficiently, and we ensure the highest quality fleet repair services done as quickly as possible. Our state-of-the-art fleet and truck repair facility accommodates fleet vehicles of various applications like police service vehicles, casino cars, rental trucks, trades vans, and more. Call now to talk with us about your commercial fleet repair and maintenance needs.